It's 04:10 in Litchfield, USA right now. 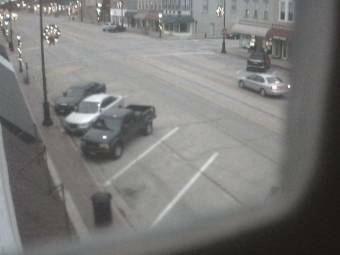 North State Street A webcam in Litchfield, Illinois. Edwardsville, Illinois: Trinity Lutheran School, 29.8 miles away. Alton, Illinois: View towards West/Southwest, 34.6 miles away. Springfield, Illinois: Springfield Ball Charter School, 41.9 miles away. Maryland Heights, Missouri: Creve Coeur Airport, 52.5 miles away. Warrensburg, Illinois: Warrensburg Latham Elem Middle School, 61.1 miles away. Mattoon, Illinois: Sarah Bush Lincoln Heath System, 71.7 miles away. Mount Vernon, Illinois: Holiday Inn Mt. Vernon, 71.8 miles away. Zeigler, Illinois: Zeigler Royalton Elem Jr High School, 94 miles away.